Everyone loves a Sharpie, well almost everyone (moms with small kiddos who have gotten their tiny hands on one of these probably not so much). Introduced in the '60s, Sharpies were the first pen-style permanent marker on the market—and have since become an iconic writing implement, but they're also a great tool for crafty DIYers who want to make over a wide assortment of unexpected media. 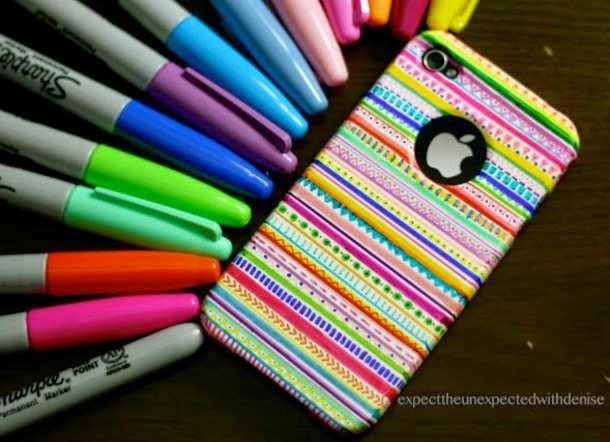 So grab a pillow, a plate... even an iPhone case, and let your Sharpie go to town. 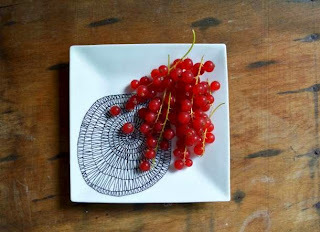 Turn your doodles into dinnerware! All you need to complete this project are plates, a Sharpie, and an oven. This design was created by drawing a series of ovals inside one another, filling them in with whimsical triangles. 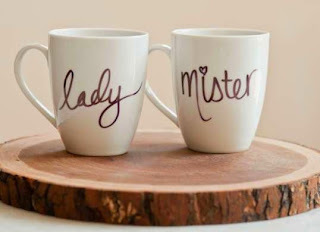 Give your morning coffee an extra pick-me-up, with sweet his and hers mugs you can make in a snap. Simply pen your sentiment of choice and bake it at 350 degrees for 30 minutes, and the design will stay permanently. To keep your design looker new longer, opt for hand washing over the dishwasher. 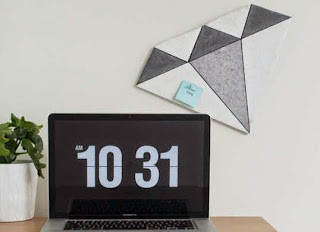 Turn a basic pin board into a shiny new thing, with a bit of paint and your trusty ol' Sharpie. It's as easy as sketching out a diamond shape, taping off and painting the sections, then finally outlining the design in marker when it's dry. Is there anything you can't do with a mason jar? This all-around vessel gets just a bit snazzier with some shimmery Sharpie polka dots. 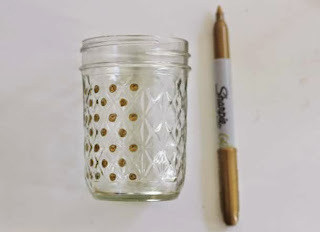 It couldn't be easier—freehand dots any which way you wish, then use your new jar as a rustic vase, cup, or desktop organizer. The best part about this Aztec-inspired design is that no two are alike, and "imperfections" only add to the effect. Anything goes as you design each row, and before you know it, your plain white smartphone case is a designer accessory. If you have some software savvy in your wheelhouse, this is a great way to use desktop graphic design to create a custom wallpaper transfer. 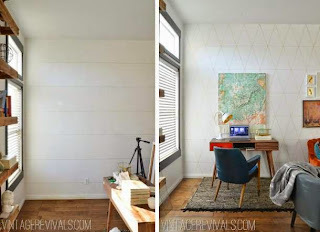 After applying the template to your wall, use the all-mighty Sharpie pen to trace the lines directly onto your wall. Kibwe Daisy Design has the step-by-step instructions. If you could spend $500 or $25, which would you choose? Thought so. 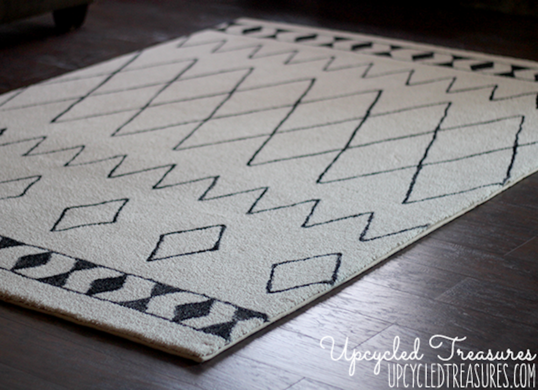 Take a cue from this resourceful DIYer, who used an ivory 5x7 remnant and a Sharpie, to create an accent rug so hip, you'll never know it's not West Elm. Make modern art the easy way. 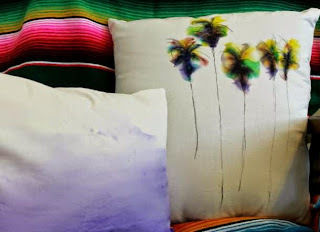 With a muslin or cotton pillowcase as your canvas, a few colorful Sharpies are all you need to "paint" your scene. Rubbing alcohol and Q-tips are the secret to transforming your scribbles into a beautiful watercolor. Wallpaper is hot, but it can get expensive. 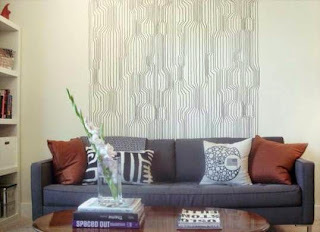 To get a similar look for a minimal investment, a Sharpie pen and a straight edge will help you turn a plain wall into a geometric work of art.